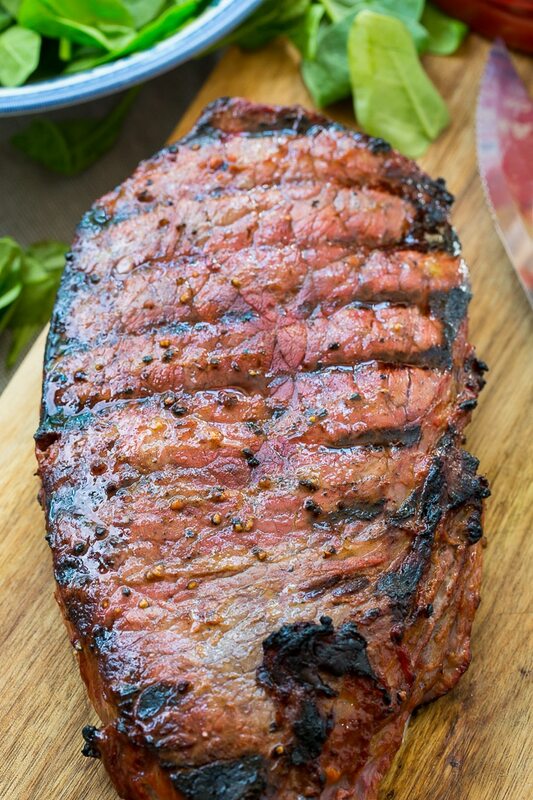 Catalina London Broil is an easy grilled steak dish that only has 3 ingredients. London Broil, pepper, and a bottle of Catalina dressing. So simple and delicious. Just the way summer should be. 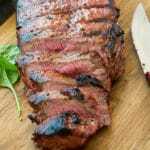 I like using London Broil since it is lean, economical, and can feed a lot of people. But you could use another cut of meat like sirloin, flank steak, or even rib-eye. The steak gets marinated in Catalina Dressing for at least 12 hours. The Catalina dressing gives it such a wonderful tang. You could use French dressing instead. Catalina Dressing is great to have in the pantry. It can be used to make Crock Pot Catalina Chicken or Dorito Taco salad. The longer you let the London Broil marinate, the better. At least put it in the marinade the morning before you grill it. Even better if you do it the night before. Catalina London Broil goes great with Country Ranch Green Beans and Potatoes. 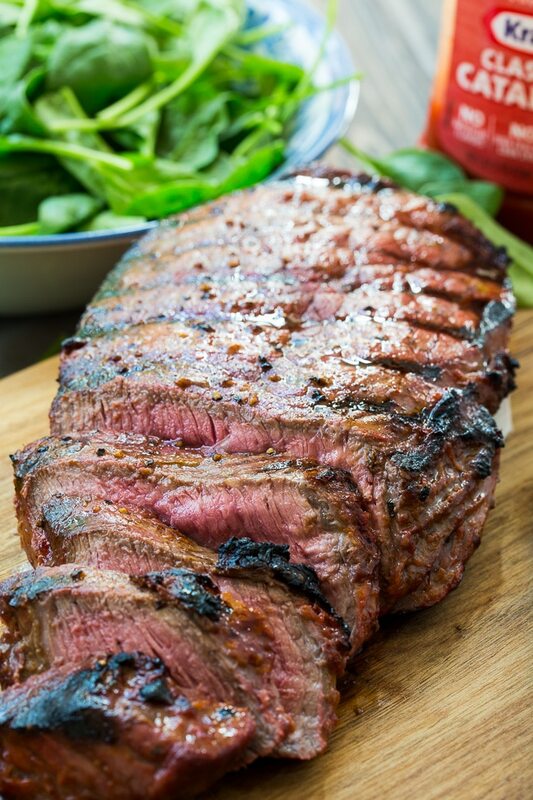 Only 3 ingredients needed to make this delicious grilled steak recipe! Prick London Broil on both sides with a fork. Combine London Broil and dressing in a ziptop bag. Turn to coat and refrigerate for 12 to 24 hours. Remove London broil from bag and sprinkle with pepper. Grill for 10 minutes. Turn over and grill for 8 to 10 more minutes, depending on thickness and desired degree of doneness. This Oven-Barbecued Beef Brisket is a can’t miss recipe. Watch the video below to see how to make it! This entry was posted in Main Dishes and tagged steak. Bookmark the permalink. Wow, that’s a good looking piece of meat! I may have just eaten, but I’m so hungry for this right now, hahah! Can’t wait to try this recipe! LOVE how tender this beef looks! Definitely adding this one to the summer cookout menu!